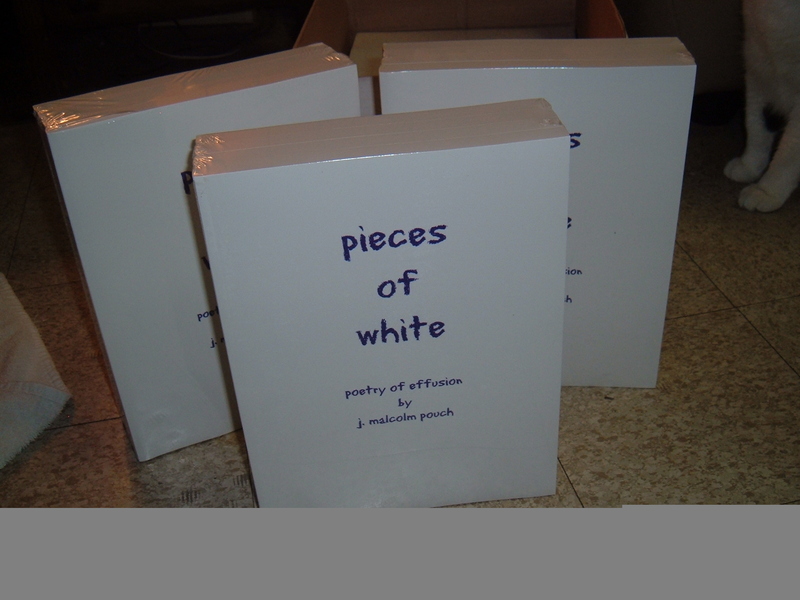 If you would like a copy of my book Pieces of White, poetry of effusion, click on the Pay Pal link and send $10.00 plus 2.00 postage. If you are new to PayPal, you will need to fill out a short info form...(I highly recommend you join)... put $12.00 into the account of John Pouch Thats it! Your "Signed" book will be shipped the same day you order! BE SURE TO PUT A MAILING ADDRESS IN THE COMMENTS SECTION AT PAYPAL! This is a special price to those visiting my website. The publisher charges 15.00 per book and bookstore charge up to 20.00. My way of saying THANKS!! Order Now While Quanities Available!